Brewing beer is trendy. In the USA alone, the number of craft breweries has risen from just under 1600 in 2009 to more than 6000 in 2017, according to the US Brewers Association. Many a beer fan starts his career at home at the cooking pot and steadily moves on until opening a handsome brewery. Anton Paar has the right instrument for every user to monitor the brewing process. And even when you want to mix a perfect juice at home, Anton Paar accompanies you with an appropriate measuring technology. Density measurement is above all else. And this has just been revolutionized at Anton Paar. 50 years after the presentation of the first digital density meter with an oscillating U-tube at Achema, the developers of the Business Unit Measurement have virtually squared the circle and renewed the measuring principle, which has already been fine-tuned. „We identified the limitations of the old oscillating U-tube method and ultimately replaced them with a new technology,“ explains Siegfried Hold, product manager for Anton Paar‘s high-end density meters. Thanks to elaborate simulations and several prototypes, the patented „Pulsed Excitation Method“ is available, making the DMA 5000 the world‘s most precise density meter with a reproducible accuracy of an incredible six digits. But let‘s start with the dedicated microbrewer or distiller. Both want to know about the quality and composition of their work. At least the tax office wants to know exactly about the alcohol content of beverages. „Ultimately, it‘s always about concentration, for example sugar or alcohol in water,“ says Julia Sattler, product manager for portable density meters and „simpler“ desktop devices. Beginners with small budgets rely on the DMA™ 35, which is now being built in the 4th generation and helps to control the fermentation process. Or is used in an explosion-proof form in industry (chemical testing) or at airports (kerosene check). When it comes to a high alcohol content in delicious spirits, just grab a Snap 51, „the most accurate handheld device on the market for this purpose,“ explains Julia Sattler. If you know and really like a distiller, you may hand over a great gift with a precise Snap 51; or a smaller one with a cheaper Snap 41 with a slightly lower measuring performance. The big advantage of the portable instruments is that you can measure directly on site without having to take samples and drag them to a laboratory. 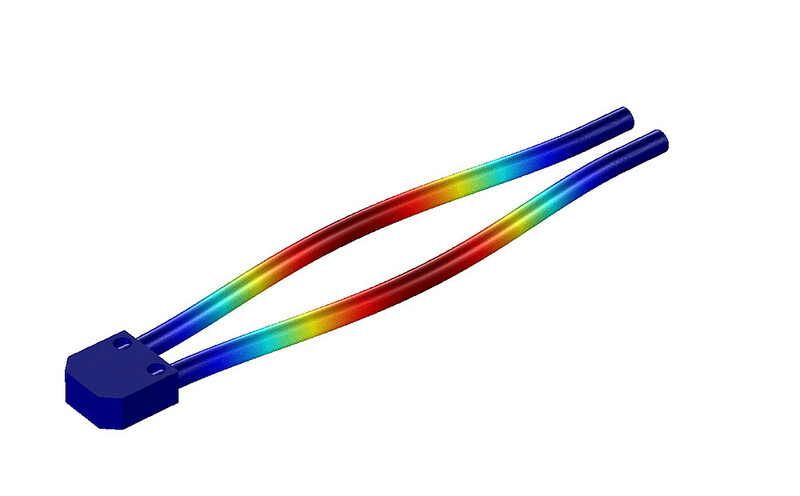 The target group for the cheaper density meters is primarily those users who still use classic glass instruments (e.g. hydrometers) for density measurement. According to the density professionals of the Measurement business unit, this is a huge market. Anton Paar has just launched a „fighting machine“ on the market for „stand-alone table-top units“, which cannot be extended by other measurable parameters. The DMA™ 1001 meets all standards that are demanded by industry. 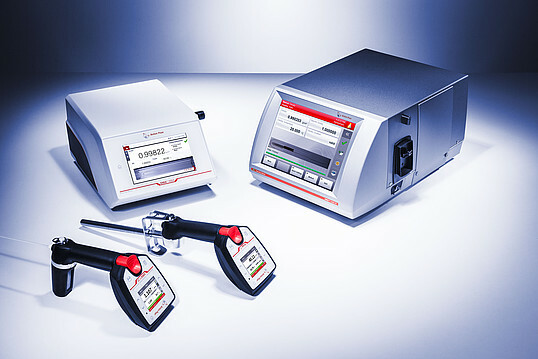 And all this at a competitive price that is far beyond what you would normally bring as a gift, but in comparison to the competition, which according to product specialist Sattler often comes up with generous discounts, this is a top offer: „The DMA™ 1001 is the cheapest 4-digit measuring device on the market“. Nowadays, operation is super comfortable. The devices can be used by almost anyone, the clever design eliminates sources of error. „The first instruments only showed the oscillation data and the density had to be calculated. Today, the devices are operated via touch screens and various interfaces can be selected for data processing and connecting the density meter with modern laboratory infrastructure,“ says specialist Hold. The modular top devices can be expanded into complete measurement solutions. If you want to check the full information, you have to use a high-end measuring device. 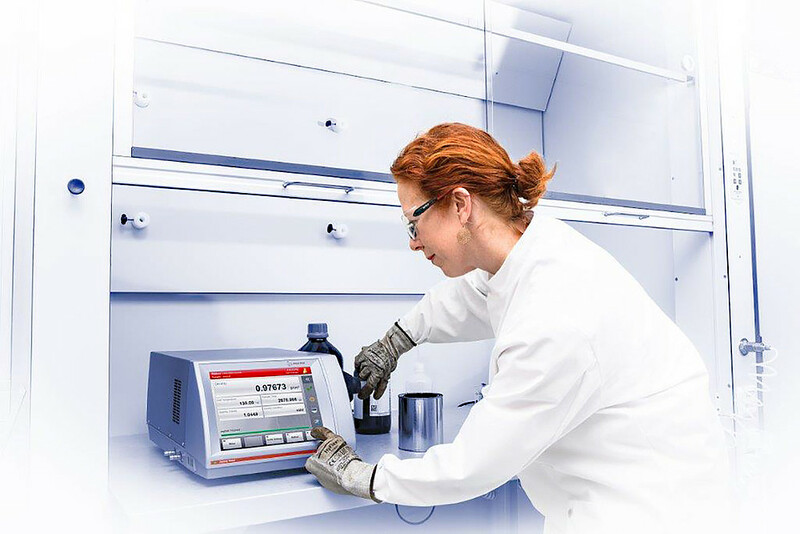 DMA™ 4100 M, DMA™ 4500 M and DMA™ 5000 M can be upgraded to measuring stations that display not only density but also the refractive index, optical rotation, viscosity, oxygen, carbon dioxide and alcohol content. If required, this is done automatically. „The 5-digit DMA™ 4500 M is the best-selling density meter and dominates the world market,“ says product specialist Hold. The devices with a known super long life span are used in the beverage, pharmaceutical, chemical, and perfume industries. Especially for soft drink analysis, Anton Paar offers the SDA M, which also uses the speed of sound to determine the degree of inversion (aging process) of the sugar in the beverage. Or the DSA 5000 M, which also measures the speed of sound in the sample in addition to density and thus enables the characterization of ternary mixtures (two concentrations in one solution; e.g., alcohol and sugar in water). 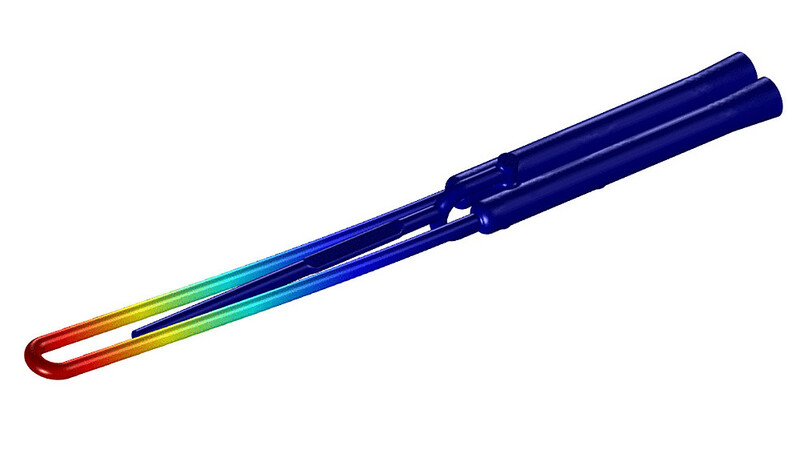 The DMA™ 4200 M will soon be available with a Hastelloy metal transducer that can measure density at pressures up to 500 bar and temperatures up to 200 °C. The target group for this device is the petroleum industry. „The crude oil is filled directly into a pressure vessel in the borehole and then measured in the laboratory with the DMA™ 4200 M under the same pressure and temperature conditions as at the oil deposit deep below the earth‘s surface,“ explains Product Manager Barbara Klug-Santner. Even before the market release, the first orders came in. Should our brewer finally lose the desire for big business and dare a new start on the hot plate, then there is the EasyDens. Extract and sugar control is also possible with this inexpensive entry-level device, which displays the results via a cool app on the mobile phone. The EasyDens helps mixing the perfect juice at home, too. The device is available in the Anton Paar online shop and is fun to use. But that‘s another story. The measurement of density (as a quotient of mass by volume) goes back to Archimedes (287 to 212 BC, Sicily) and his Archimedean principle. Precise measurements have been possible since Abu Raihan Biruni (973 to 1048, Afghanistan) designed the first glass-made pycnometer. This „density bottle“ with a known volume is filled and weighed with the measuring solution. The density can be calculated from weight and volume. Hydrometers with precise scales have existed since the 18th century and are immersed in different depths depending on the density of a liquid. A calibrated scale on these sensitive glassware reveals the density. Both pycnometers and hydrometers are still widely used today. Anton Paar presented the first digital density meter with oscillating U-tube technology in 1967. If the U-tube (a filigree glass tube) filled with a sample is electronically stimulated to oscillate, the device can calculate the density that is subjected to the natural oscillation frequency of the U-tube. In 1981, the first handheld density meter DMA™ 35 was launched and awarded the „Austrian Innovation Award“. 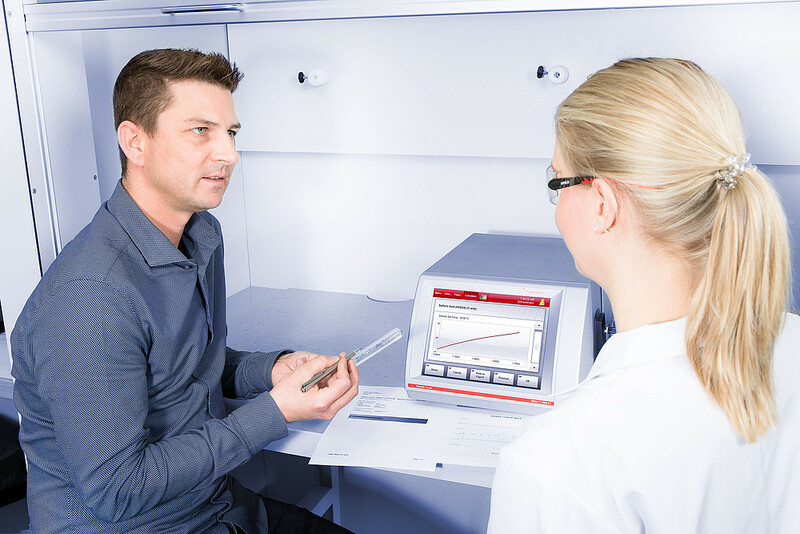 In 2017, Anton Paar introduced a new measuring technology. Instead of a continuous oscillation at maximum amplitude, the oscillator can now vibrate freely (oscillation fades away) before it is excited again (patented „Pulsed Excitation Method“). From the pattern of vibration and fade-out, the instruments obtain even more precise measurement results. The new high-end devices detect the influence of falsifying air bubbles or particles and compensate for influences caused by sample viscosity or temperature changes. Y-oscillator: The most accurate tool with precise temperature control needs a counterweight to decouple vibrations in the environment. W-oscillator: The smallest resonator, for portable devices with less accuracy. 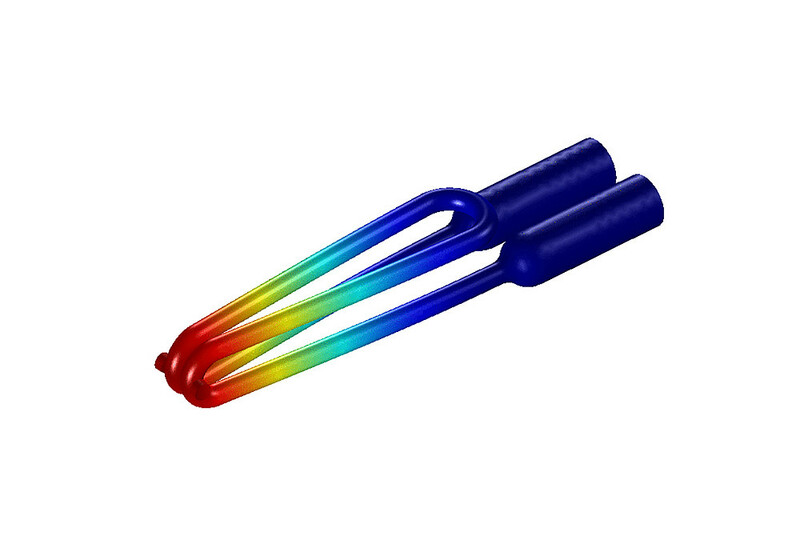 X-oscillator: Vibrates at a higher frequency and is thus more influenced by the viscosity of the measured medium. Does not require any counterweight and makes the devices more compact. 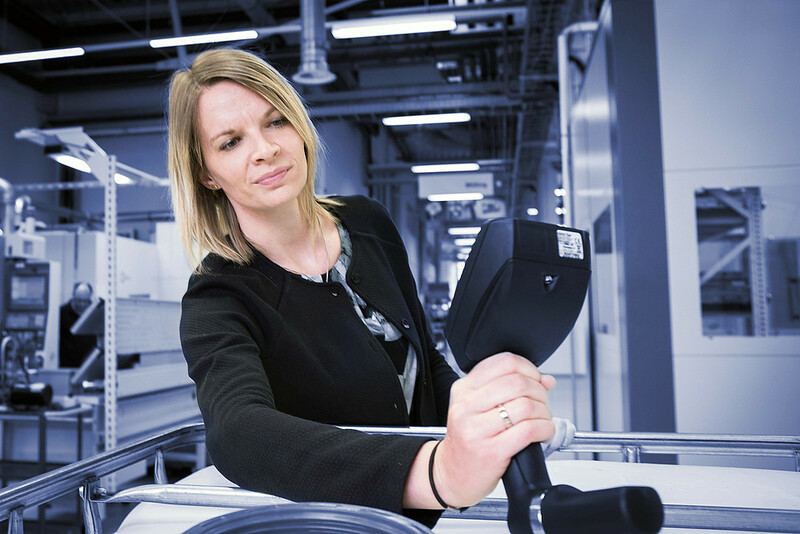 The oscillator production is a core competence at Anton Paar. The best Y-glass oscillators are almost entirely handmade in Anton Paar‘s in-house glass production in Graz. The measuring volume of the filigree oscillators is one to two milliliters. If required by the application, the oscillating U-tube is made of metal. For example, when chemically aggressive substances have to be measured at a high pressure.